After two days exploring Inle Lake on a boat, we were ready to venture inland. On our third day in Nyaungshwe, we rented bikes and rode them into the countryside. 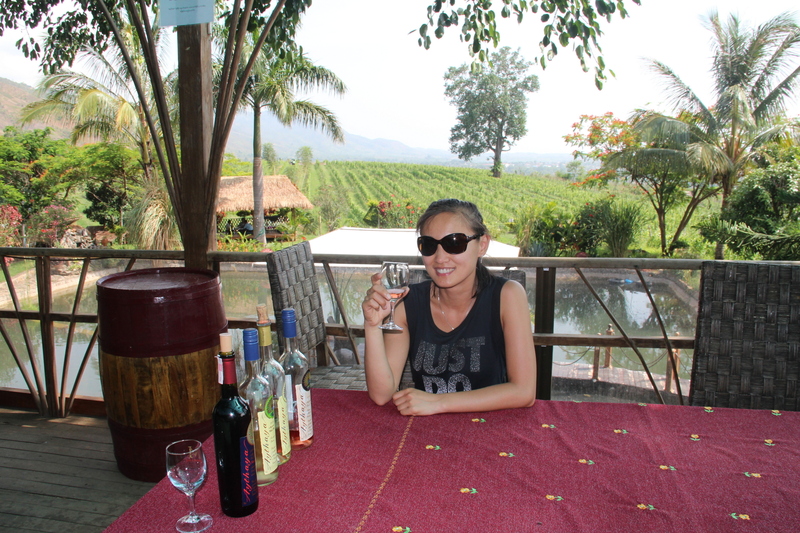 It was lush and beautiful, and a great way to observe life beyond the tourist spots. 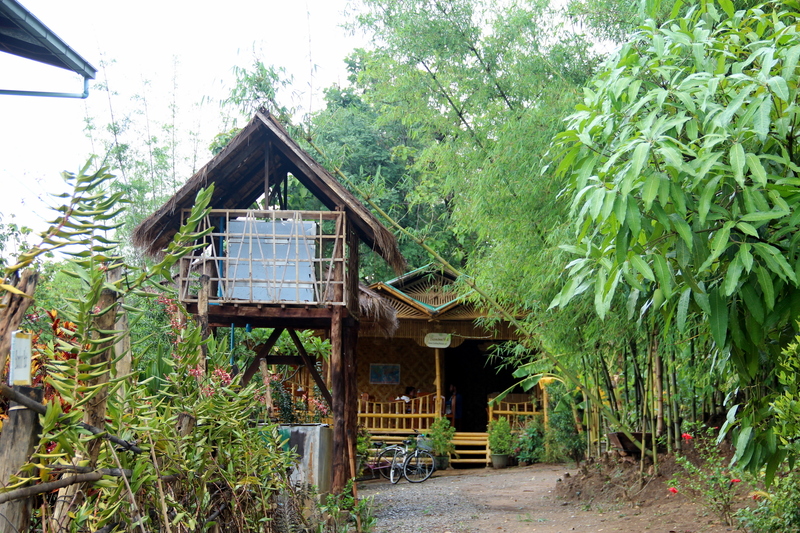 The highlight was our lunch at the Bamboo Hut, an amazing local restaurant we had been recommended. 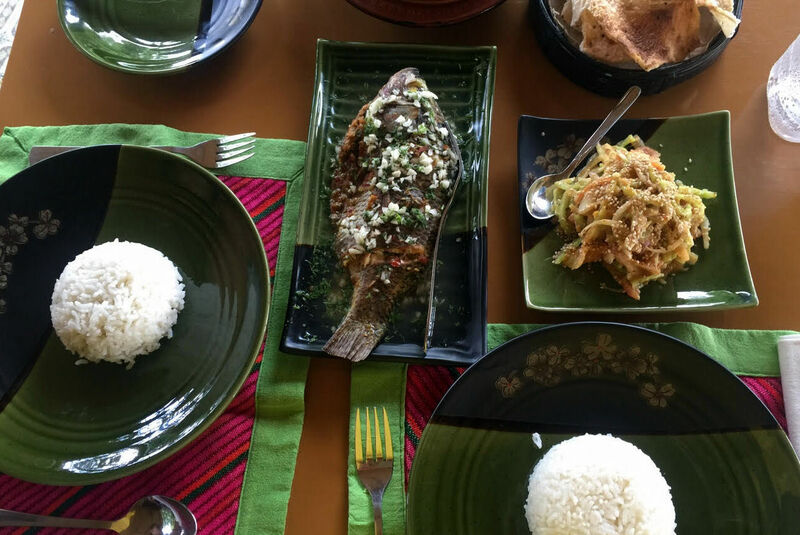 While I slacked on their porch, looking at the surrounding fields and fruit trees (which they use for their ultra-fresh dishes), Elena joined the owners in the kitchen for an impromptu cooking class, and prepared us the most delicious fish ever. On our final day in the Inle region, we wanted to visit Kakku, the sacred site of the Pa’O people. We hired a car with driver in town, and headed very early toward the city of Taunggyi, the capital of the Shan state. We had to stop there to pick up a Pa’O guide, mandatory to visit their territory. Our guide ended up being a 19 year old college student named Kam, a shy and funny girl who we liked immediately. All the guides are dressed up in traditional Pa’O clothes (black and blue multi-layer suits and colorful turbans), speak good English and are quite knowledgeable. After about 2.5 hours in the car, driving through rice and soy fields, we reached Kakku. 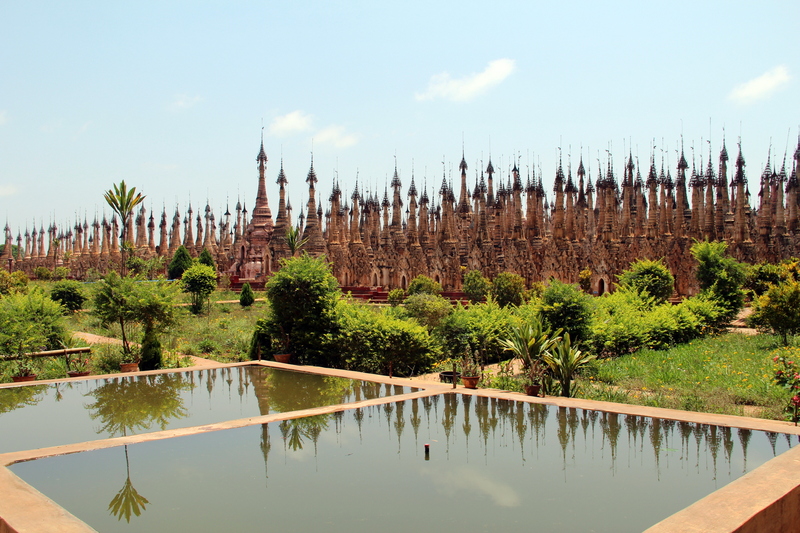 The complex of over 2,000 stupas, crowded in a rather small space, is similar to Inthein, though it feels more authentic and spiritual. 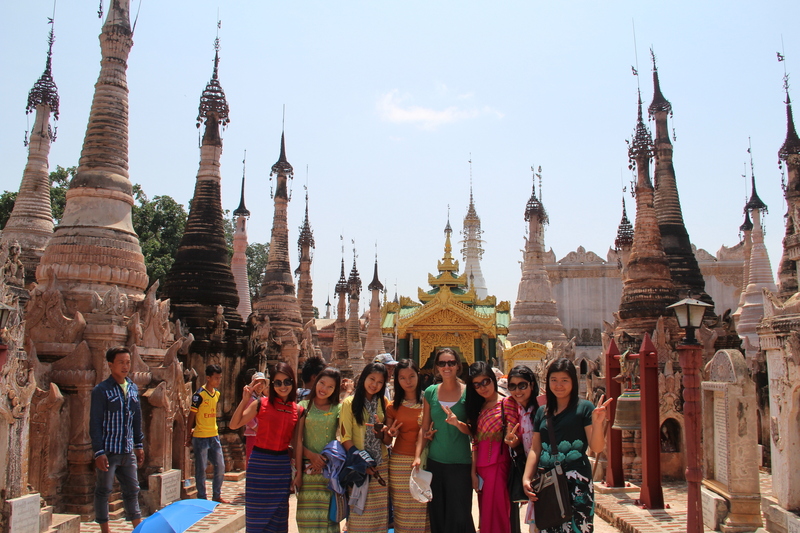 Many stupas have elaborate carvings and hidden Buddha statues. We walked around under the intense heat, listening to Kam’s explanations and nearly alone, just a group of local college students was at the site. We noticed that they were sneaking pictures of us, and we said hi… so they got confident and asked Kam if they could take photos with us… Yes, we were celebrities! 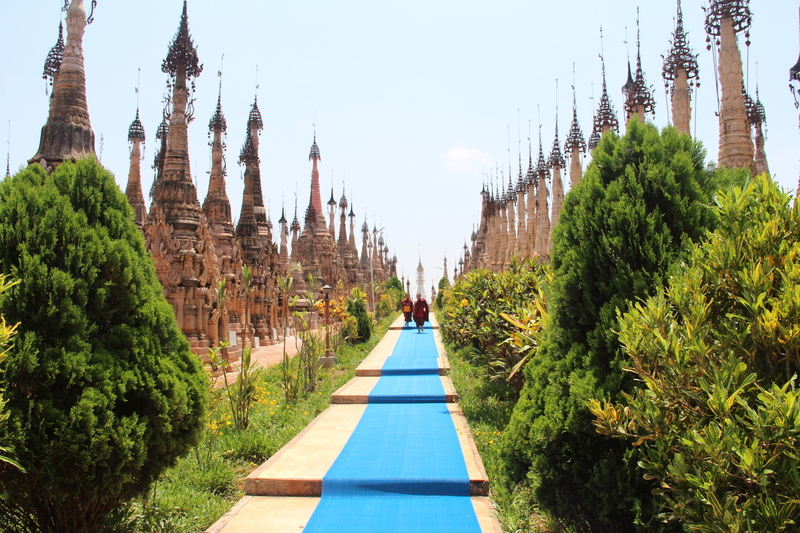 After about an hour of wandering around and observing the stupas from all the possible angles, we started walking out. 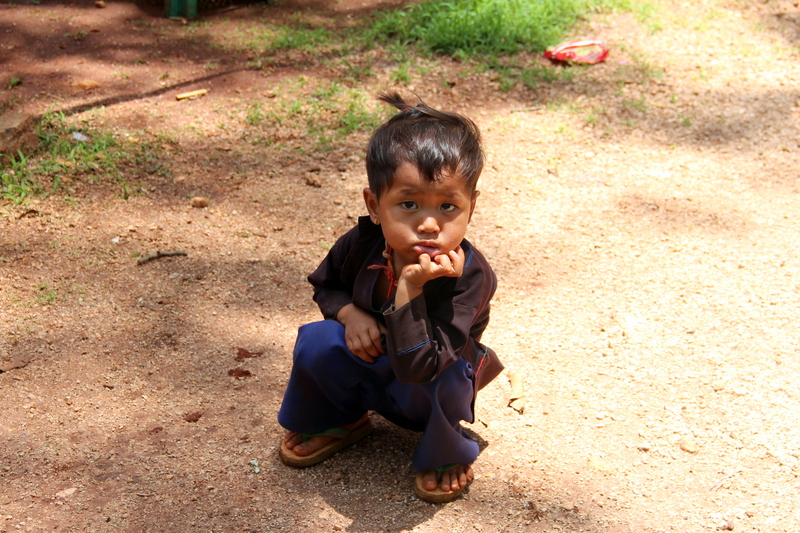 We crossed paths with two monk children, headed to the monastery part of the complex, which is still active. 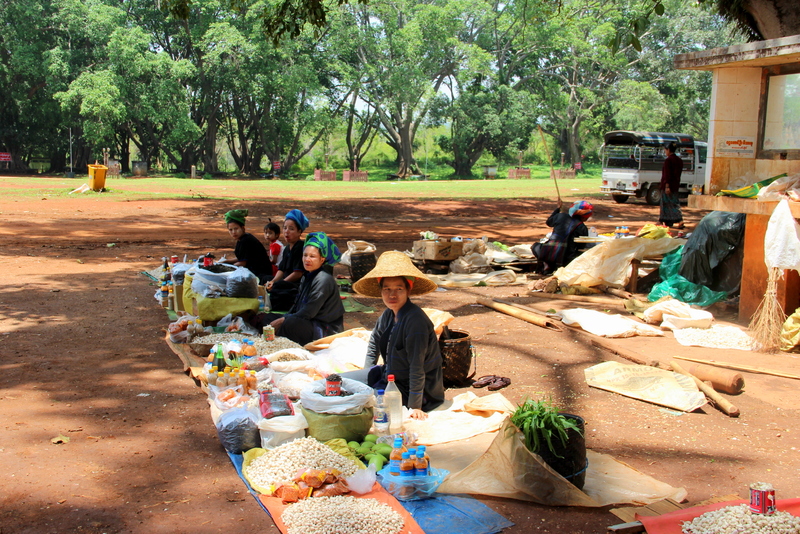 In front of the pagoda, some Pa’O women had set up a small market, and there were some kids playing. It was exactly the isolated, local experience we had been looking for. 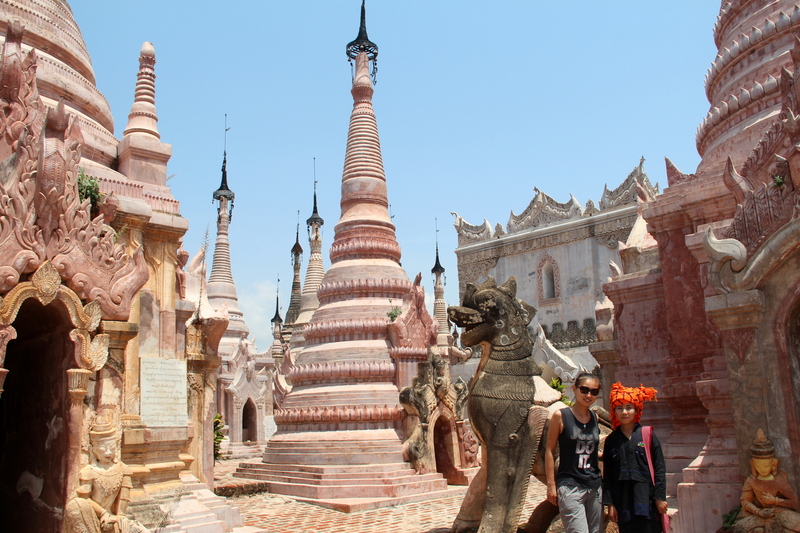 We grabbed lunch in the restaurant across the stupas, apparently the only one in the area. 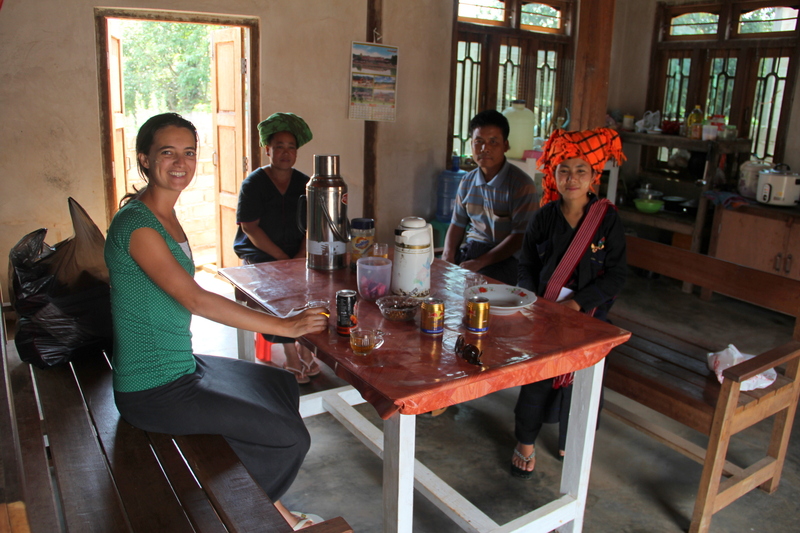 While they prepared our yummy Shan noodles, we joked around with Kam, putting turbans and thanaka on us. Then we started driving back, and stopped to visit a Pa’O village. Kam showed us a local home, a large building with storage space on the ground floor (mostly with garlic) and a large living/cooking room on the first floor. And then she took us to her home… we had mentioned the possibility earlier and she had gotten really excited, so there we went. 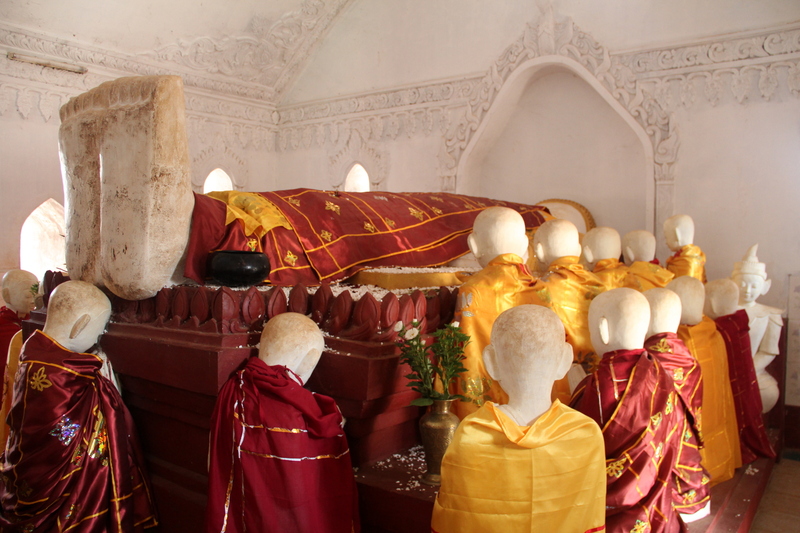 Her home, in the outskirts of Taunggyi had a similar structure, wide open, and with a big part of it devoted to a Buddha shrine.